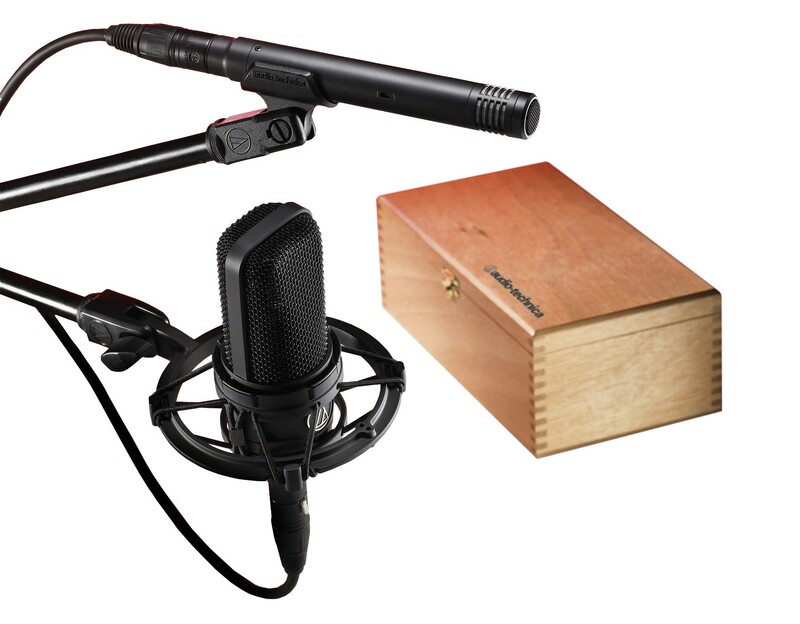 The AT4040SP Studio Pack offers two of Audio-Technica’s renowned 40 Series studio condenser microphones: the AT4040 large-diaphragm side-address condenser and the AT4041 cardioid condenser. Each microphone is transformerless, resulting in exceptional transient response and extremely clean output signals; each is engineered to meet the most critical acoustic requirements of professional recording, broadcast and live sound. A shock mount, stand clamp and windscreen are included, along with a protective wooden carrying case.